František Janeček (1878 – 1941) was a Czech engineer, inventor, entrepreneur and one of the most important personalities in the history of the Czech motorcycle industry. He completed his Master’s Degree in engineering by acquiring professional experience abroad. In 1908 he opened his own engineering laboratory and mechanical workshop. His company, Zbrojovka Ing. F. Janeček prospered thanks to the production of weapons, especially grenades and machine guns. 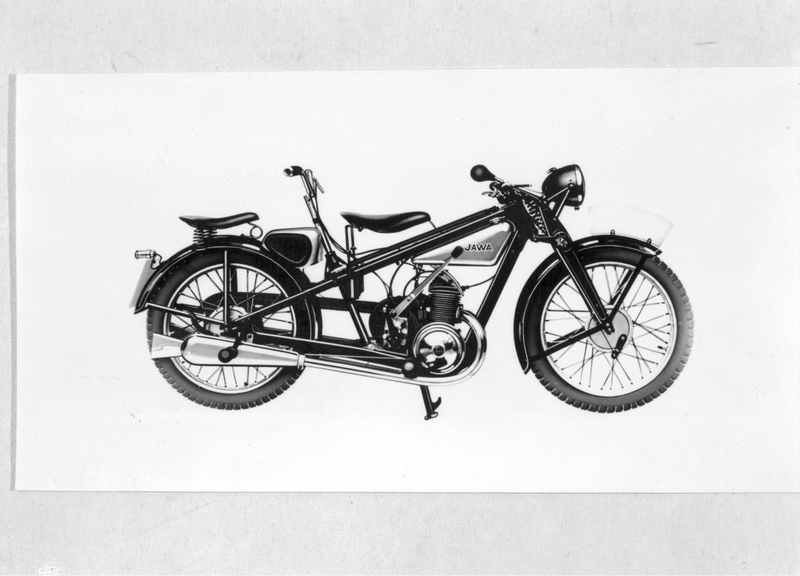 Looking for an alternative production programme in the sales crisis, they decided to introduce a licensed motorcycle production of the German brand Wanderer, which was produced from 1902 in Chemnitz, Germany. Zbrojovka Ing. František Janeček launched the new motorcycle JAWA 500OHV in 1929. The name JAWA was created by merging the names JAneček and WAnderer. Fairly quickly he began to manufacture relatively cheap motorcycles of high quality, so their production continued to rise even in times of great economic crisis. 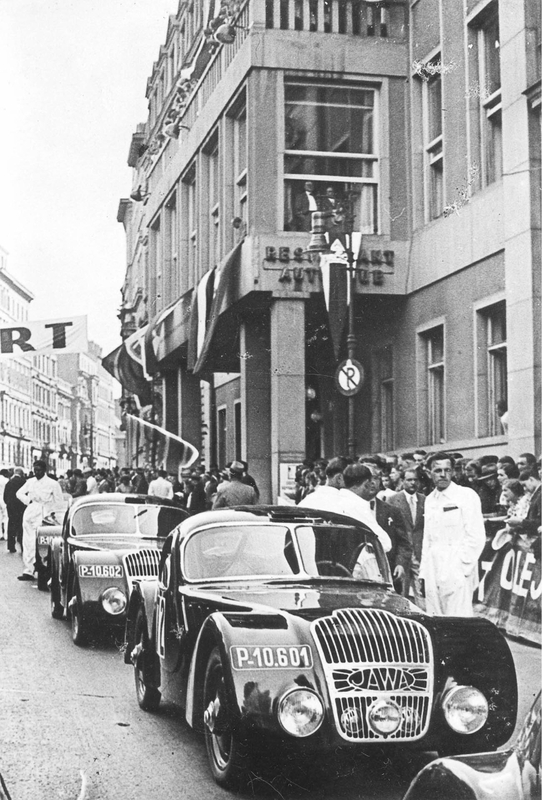 Janeček invited the English competitor and designer George William Patchett, (who focused mainly on sport machines) to the Czech Republic (then Czechoslovakia). He brought a semi-finished lightweight racing motorcycle with him. Patchett stayed in Czechoslovakia until World War II. His arrival started the production of motorcycles at full speed. A new machine was developed, conceived as a small light motorcycle with a weaker engine. that despite various obstacles the JAWA brand has been active for the past nine decades. 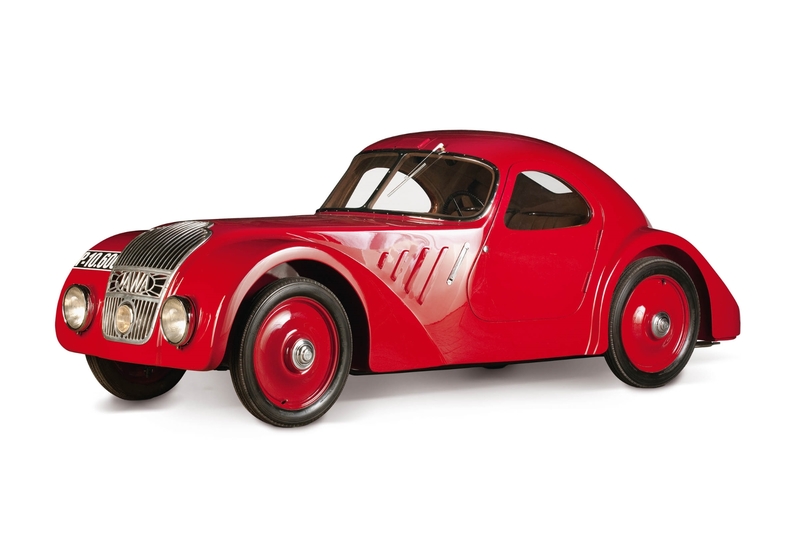 In 1934 František Janeček also started producing small passenger cars with two-cylinder two-stroke engines and front-wheel drive. They were first produced under the license of the German car manufacturer DKW, later they were JAWA’s original construction. The new JAWA Minor was introduced in 1937. Janeček had a remarkable team of highly capable developers and designers in his company. Shortly before World War II they were preparing new motorcycles for both normal traffic and motorcycle racing specials. The German occupation and the beginning of the war, however, swiftly brought such activities to an end and the serial production of JAWA motorcycles and cars was terminated in 1940. The development of civilian vehicles however, secretly continued. The designs of new machines had already been approved by Janeček, but he died in 1941. 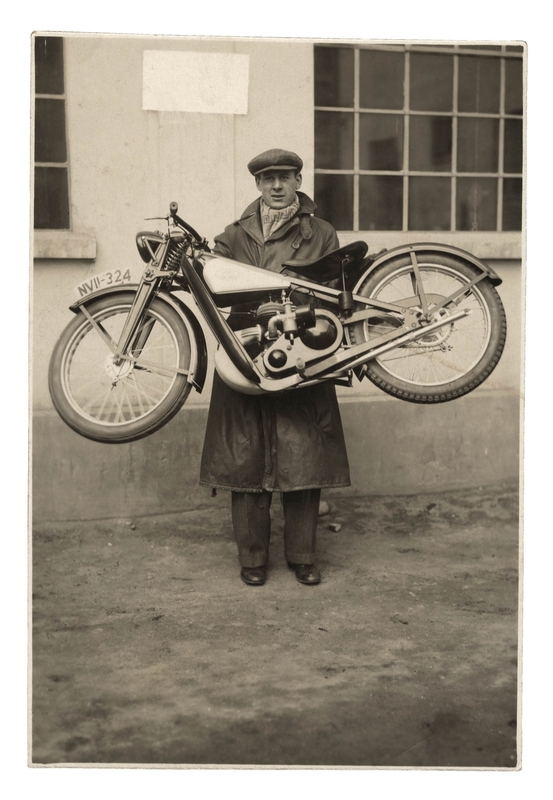 His co-workers were fearless enough that during the occupation they managed to develop, manufacture and test dozens of prototypes of modern motorcycles (and several car prototypes) for post-war production. The risks associated with secret development during the war have richly paid off for Jawa. At a time when the competition was still counting war damage, Jawa had finished a motorcycle without equal in its category. 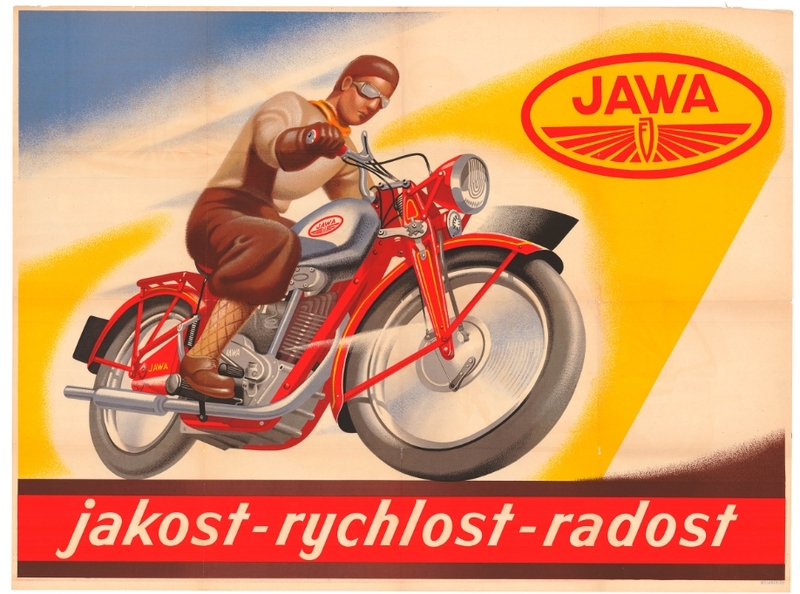 The new JAWA 250 has been successfully exported to the whole world since 1946 and became the basis of the extraordinary success of the Czechoslovak motorcycle industry. It is one of the most important motorcycles in our history. In the first years after World War II, Czechoslovakia had the edge in the field of motorcycle production over most of its foreign competitors. Our industry endured relatively small war damage, so civilian production was able to begin immediately after the war. The secret preparation during the occupation allowed for the introduction of modern machines into serial production. The world was hungry for a cheap means of transport, so the attractive and high-quality motorcycles sold well all over the world. Australia was interested in JAWA machines, they were exported to the USA and even the West German police forces drove JAWA motorcycles. Unfortunately, the centrally managed economy at that time was not able to compete with the flexibility of awakening western competition. 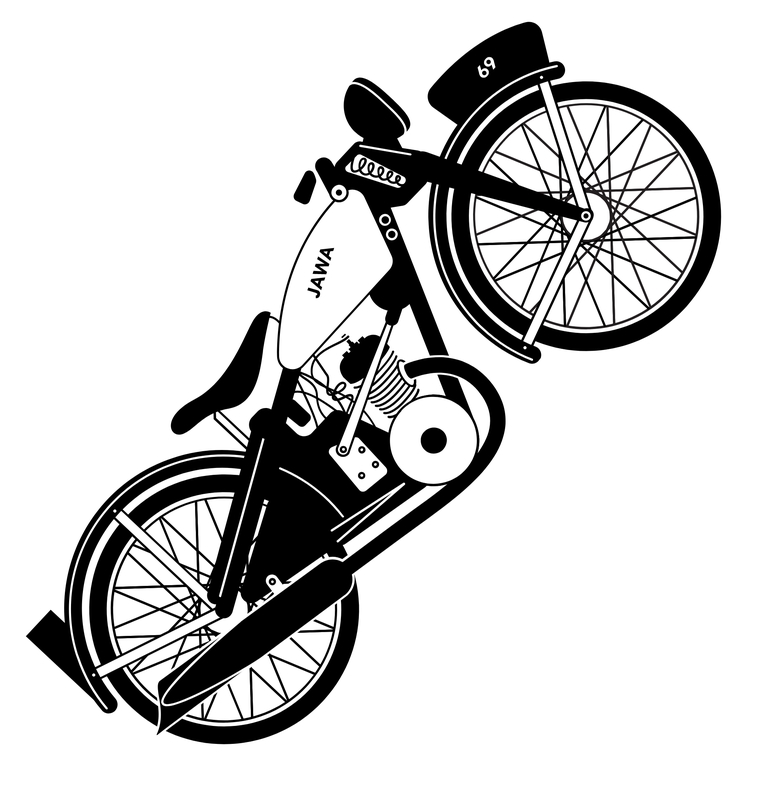 Nevertheless, the numbers of produced motorcycles remained in the hundreds of thousands, and Czechoslovakia has been one of the largest manufacturers of motorcycles in the world for decades. Zbrojovka Ing. 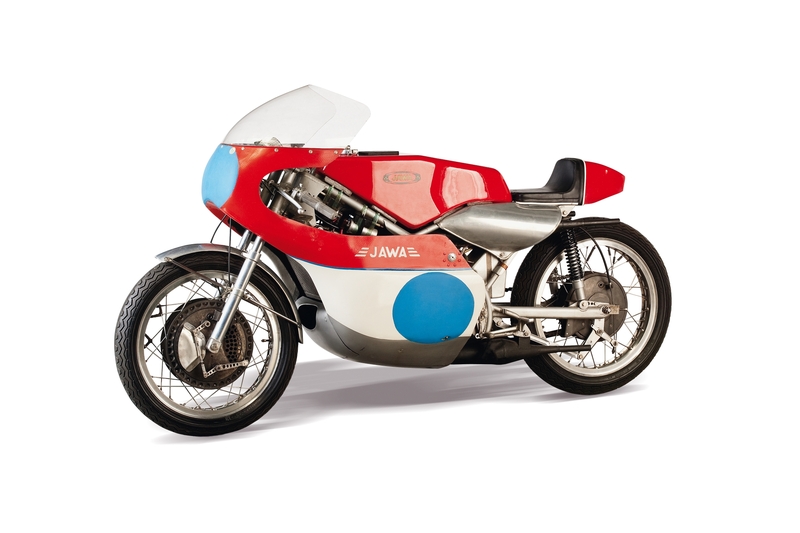 F. Janeček was not only the largest manufacturer of motorcycles in Czechoslovakia, they also focused on motorcycle sport from the very beginning. Just a few years after the start of their production, JAWA machines became a serious competitor of leading world brands in all major motorcycling disciplines.